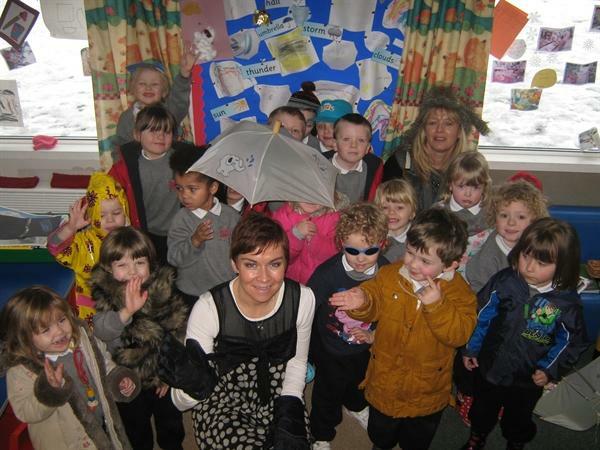 The pupils of Fort Hill Integrated Nursery had a special visit today from Cecilia Daly, Meteorologist from the BBC. The boys and girls had good fun talking about the weather and dressing up in lots of different types of clothes for different types of weather. 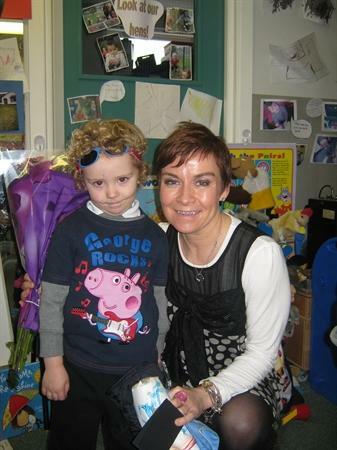 Cecilia is the aunt of Aoibheann in Nursery and she was delighted to have her famous Auntie in to visit all her friends!